We are considering biting the bullet on a vacation home, with the thought it will be an investment that will appreciate in value while providing memories of flannel pajamas and pillow parties. Serious question for those that may be in the situation currently. Not nearly enough. I am not sure if you are talking more of a cabin or a home on the beach. Either way, you spend more time performing maintence than relaxing. Think it all depends on how often you think you will use it. Can always look at time share options. Me personally, when I retire that will also be a vacation home! I'll use my travel trailer or 5th wheel to travel and vacation in. One method that I've seen work is to buy a vacation home via a partnership. The one I know that has worked really well is a group of 7 families that bought a vacation house together in a formal partnership. The have an annual meeting where they make up the schedule of who gets the house when. Each person gets 7 weeks a year (7 X 7 = 49 weeks so there are 3 extra weeks). I think Christmas, Thanksgiving, and a couple other weekends count as 2 weeks so there are some folks that end up with 8 weeks. They are from a diverse group of occupations and interests so it works really well for them. If everyone was in the same occupation it might not work as well. The other option that I've looked at is putting it in a rental pool, but there are for sure some different pros and cons to that option. I've been looking into this for a couple years now but just can't seem to pull the trigger. Do I want a ski resort type place? Beach place? Can't decide. Strictly on an investment basis, financially you'd be better off putting that money into something that produces a return annually, and has the potential to appreciate in value. Then use some of that return for getting away. But, on the other hand, it's hard to put a price on the memories made at that special getaway. I think it depends on how you use it. My wife's folks live in Boise and bought a house in McCall. They probably spend a quarter of their time at the house in McCall. It makes sense for them because they spend a lot of time water skiing on the lake and snow skiing at Brundage. Big plus for us when we want to get away on the cheap! I live in CT and bought our retirement/vacation home in MT 3 years ago. We spend 8-9 weeks in the summer and then 3-4 weeks during hunting season. Yes, there are all the same chores that have to be done on both, but this year my 13 year old son was able to fill his first bear tag. So, I think the time and energy to maintain the cabin is well worth it for the quality family time and memories that we are able to share together. I had a place that was in a different state, but only a 4hr flight and 3 hour drive... made it out there a couple times a year at most. A really great place, but way under used. That said, I am also keeping an eye out for a place that's a bit closer, something in the 3hour drive range. Nothing fancy, but a place where my kid can build a memory or two and in a place where lots of outdoor opportunity persist. It isn't going to be fancy, but better than a one room tent. I agree with those suggesting that you try to find one in relatively close proximity. I have a 'home', but it's more of a dolled up cabin, that's 3 hours away. With my sons' activities I don't get there as much as I'd like, but enough to still justify it. However, I don't live in a place or very close to much I really want to spend extended amounts of time in. BOY and I discussed this as we drove past some cabins in ID last week. We both concluded that we'd rather invest in something like a good truck/camper/toy hauler combo. IMO, you are in much the same boat. There's so much to do in so many places where you are that I'd hate to being tied to going to one place. I know that option doesn't appreciate in value, but I think that'd be the pick for me. We bought a vacation home in Phoenix metro. We live in the NW. Will be our retirement home someday. We use the home for a long weekend every other month and then for 2-3 weeks total in winter over Thanksgiving and Christmas. We have grown kids and now grandkids and getting visitors to head to Phoenix for winter holidays is easy. I also store some of my hunting gear there and drive to any hunts I have in UT, CO, NM, NV and AZ. If I am hunting in WA, OR, ID, WY or MT then I drive from the NW. I try to avoid flying to Western hunts since like the flexibility of taking extra gear, black powder and primers, and departure dates to return home with all the meat. Our home has gone up in value. We also have a second set of utilities, etc, and do not rent the home to anyone so no cash offset we would have if were simply investing in a rental property. I spend about 1/2 to 1 day each trip on maintenance issues (change batteries in smoke alarm or reset something if power was lost, etc) but once we got through the remodel phase (removed carpets, changed out windows, painted, etc) I find is nice having a place where do not have to take a suitcase along which is the case if was vacationing in a random city. We have not taken a fun vacation in the 5 years since we bought the Phoenix home but may go to Hawaii next fall. Lots to do in Phoenix between sports teams, Nascar, spring baseball, hikes, etc. I have never considered a remote vacation home though have friends who have one and they use it once or twice a year for family gatherings but not really for a long weekend. That is exactly what we are considering. It's about a 2 hour drive, in the heart of some of my favorite country. It would limit other vacations, disposable income, and fancy pants vehicles. It would be an investment....If it follows the values of neighboring areas, it has a lot of room on increasing value. The wife is all hot and bothered over it. She loves the idea of having a "getaway". I have one bought 10 years ago, five hour drive, work and play there, will never sell it. Go at least 2 nights a month. I have another bought with 3 other guys, 10 hour drive have owned it for 5 years, and never been there, but will go maybe this summer, its up in northern Ontario. I have to kick in extra $ cause I never make the work weeks! I would rather have less house and more vacation homes. I would definitely keep the distance within 2 to 2.5 hours from your home if you want to use it on a consistant bases. My parents had a cabin on a lake about an hour and 15 minutes from their home. It was a great getaway that we used at least one to two weekends a month because it wasn't so far from home that it would take as long to get there as we would have time to spend at the place. 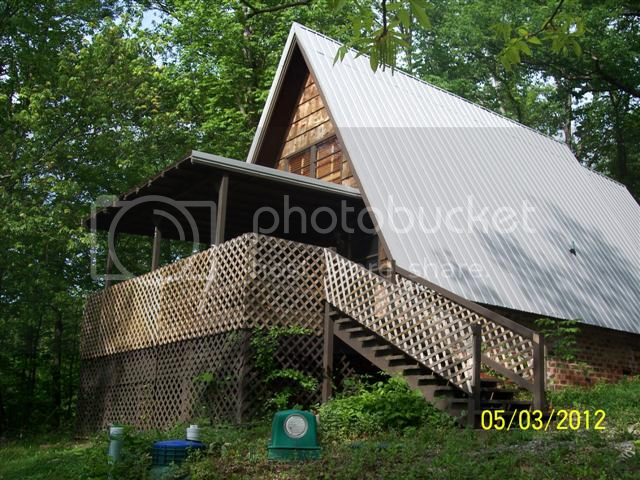 Some of my greatest memories growning up take place in and around that cabin. Fishing, hunting, swimming at the lake, were all great times. On the other hand, my wife's parents bought a cabin about 8 and a half hours from their place and would only use it maybe once or twice a year. Hard to justify going somewhere for two days when it will take two more days of travel just to get there and back. ...Hard to beat a hot and bothered wife, I guess unless she's hot and bothered about Brad Pitt. Always use it at least twice each year. One to go up and open it up in the spring, do a bunch of maintenance to get it ready for the Summer. Then, the next time is to close it up and winterize it for the Winter, which is basically undoing all the stuff done the previous trip. The times I have seen vacation homes work well is when the kids are younger, the husband works like a dog, and the wife and kids go spend the summer at the lake, while the husband stays behind to work M-F, joining them on the weekends. The kids end up making life-long friendships with other kids up there. Then, as the kids get older, getting them away from their regular friends, and their activities becomes difficult. As for an investment, I can't think of a a worse excuse to buy real estate that will only get used 30 nights a year. There have been enough booms and busts in real estate, that I believe one should only purchase real estate for a primary residence as shelter, and any appreciation/depreciation should be incidental to the purpose of shelter. Yeah, there have been some great times to swoop in and buy homes in McCall and Cascade, but, there have also been some horrible times to buy those properties. In my opinion, they all average out, and you should buy for reasons other than investments. Growing up we had a cabin in central Washington that afforded me many weekends of exploring, hiking, snowmobiling, and learning basic construction and maintenance at an early age. It was only 2 hours from our home and was one of the greatest elements of my childhood. With frequent use they are a fantastic idea. However, vacation homes/cabins as an investment are a terrible idea. Sure it can appreciate, but if you want to make an investment, buy into a home that is cash-flow positive with rental income.